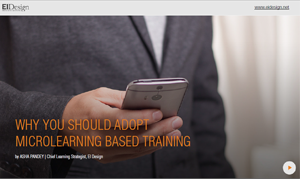 Mobile learning and gamification are 2 leading trends that are used extensively in online training. In this article, I share insights on you how you can amplify their impact by combining their powers. 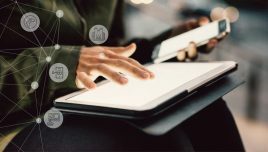 Whether your organization uses predominantly online training or a blended approach, you would be aware of the impact of using mobile learning in your learning strategy. Increasingly, mobile learning is getting established as a “must have” from a “good to have” part of the training delivery. 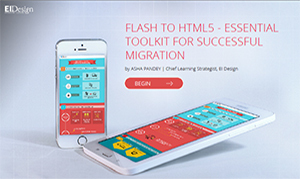 In fact, it is now steadily moving from its first avatar of the mobile-friendly or adaptive format (which offers multi-device support wherein the online course runs from desktops/laptops to tablets/smartphones) to the mobile first or fully responsive format (which offers learning designs that are optimized for smartphones, although they too offer a multi-device support). Similarly, the usage of gamification for serious learning is on a steady increase. Unlike traditional eLearning techniques, gamification provides a learning environment that is fun to go through, is challenging, and does not appear to be preachy or prescriptive to the learner. It is being used successfully across various corporate training needs. According to Gartner Research, gamification shows a 60% increase in learner engagement and 43% enhancement of employee productivity. 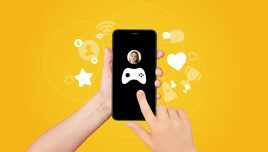 In this article, I outline how you can use the combination of mobile learning and gamification to accrue several gains. I also outline the related aspects that can help you maximize the impact by implementing certain best practices and watch out for the pitfalls. 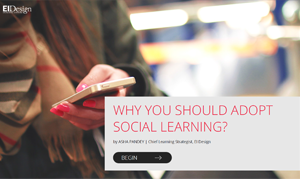 What Are The Benefits Of Using The Combination Of Mobile Learning And Gamification? 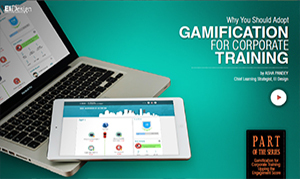 This is the foremost gain of using the combination of mobile learning and gamification. Mobile learning provides learning on the go and control to the learners on how they want to learn (at what pace, where, and on the device of their choice). On similar lines, unlike traditional eLearning strategies, the gamification-based learning designs enable learners to explore, face challenges, and get a sense of achievement and recognition. On account of these factors, gamification-based strategies (in contrast to the traditional online training approaches) show higher learner motivation and engagement. This is the second key benefit that enables organizations to see the application of acquired learning on the job. Offering practice sessions, additional challenges, and just-in-time learning aids that are gamified and available within learners’ work-flows (that is, on their smartphones) increase the probability of their usage at the moment of need. You can use gamified strategies to push learners to challenges and provide formative feedback, remediation, or additional practice sessions to help them move up from baseline proficiency to mastery. Offering these in mobile learning-based formats significantly increases the rates of practice and learning. These assets can be pushed well after the main training is done and continue to connect learners through the learning journey. Through gamification-based learning strategies and its delivery through mobile learning, you can continuously offer learning assets (instead of discrete trainings that happen on a few days in the year). 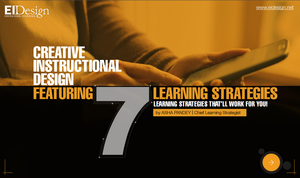 Through this approach, you can create a more desirable learning culture. 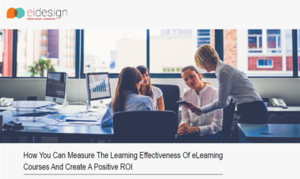 The moment you have more engaged learners that are motivated to take training that is interesting, challenging, and available on demand, you are building a strong foundation to meet your goal of positive ROI. 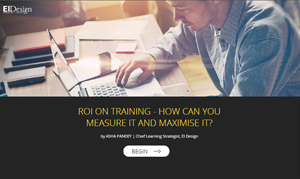 Coupled with a push for application of the acquired knowledge, practice for skill enhancement, and continuous improvement, you will see that the combined approach of mobile learning and gamification will create a positive impact on your ROI. What Are The Best Practices That You Can Adopt As You Use The Combination Of Mobile Learning And Gamification? Offer micro gamified assets that meet a specific learning outcome. Provide the program overview so that the learners understand the bigger picture and then offer a learning path that has multiple such assets. Use scores, leaderboards, and badges effectively so that they not only encourage each learner to participate but also provide social recognition. Mobile learning enables you to reach out to the learners even after they complete the training. You can push further nuggets that enable them to hone their skills or look at new challenges. 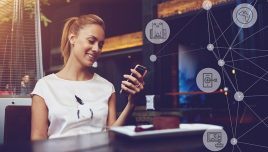 Are There Any Pitfalls That You Should Watch Out For As You Use The Combination Of Mobile Learning And Gamification? Have clarity on the degree of the gamification that enables you to meet the required learning outcome and the desired impact. Plan adequately for practice and ensure that the learners have good reasons to come back and complete the planned tasks. Ensure that the challenges should not be too easy and should be designed to push the learners to think and apply. Watch out for the fact that while gamification is designed to learn and have fun, it should not be frivolous. The focus on meeting the learning outcome is paramount. 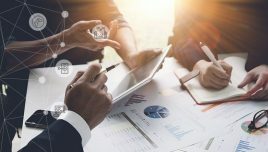 I hope this article provides insights on why you should adopt the combination of gamification and mobile learning to create high impact training. This would lead to higher learner engagement and an improved ROI.